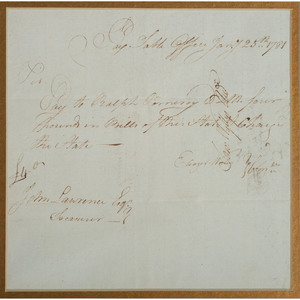 Manuscript receipt, 7 x 6.5 in. (sight), framed to 13.375 x 13.375 in. Connecticut, January 25, 1781. 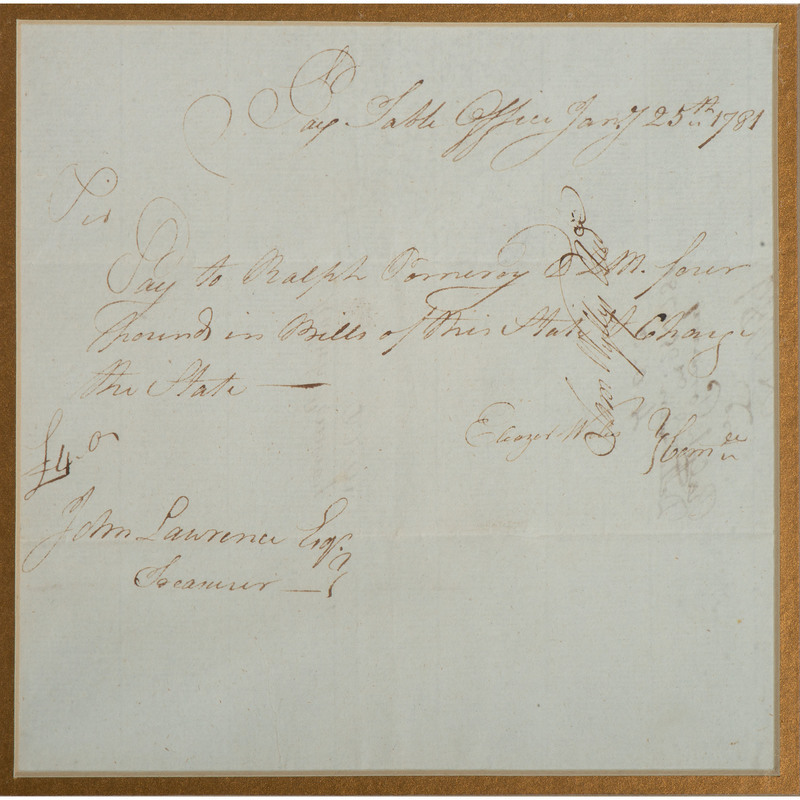 Payable unto Ralph Pomeroy in the amount of "four Pounds in Bills of this State." 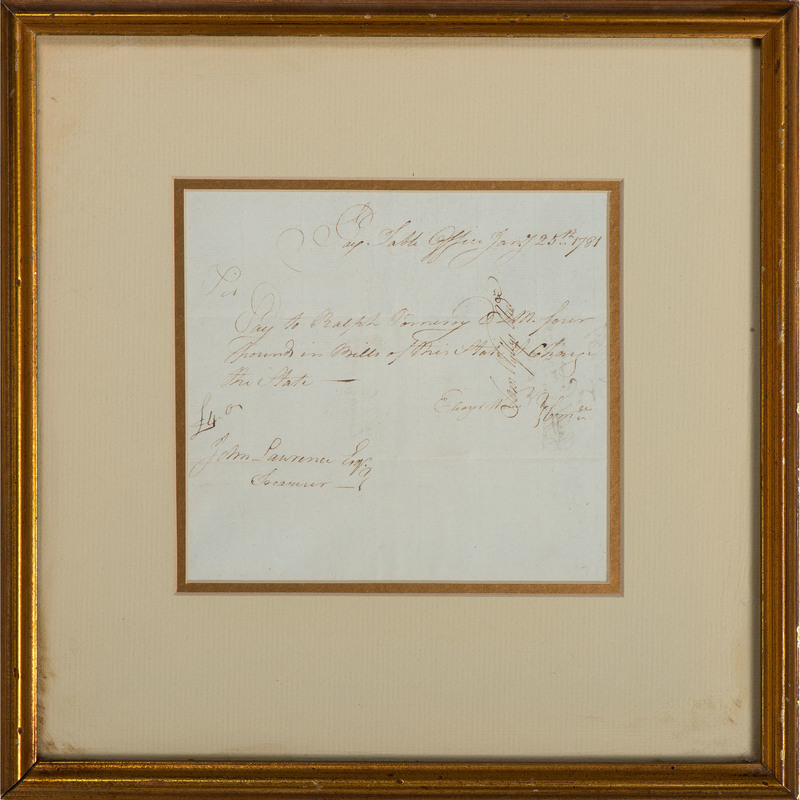 Signed by "Ebenezer Nichols" and "John Lawrence Esq. / Treasurer." Pomeroy (1737-1819) was a prominent lawyer from Connecticut who served as paymaster in the Continental Army during the Revolutionary War and later acted as State Controller. 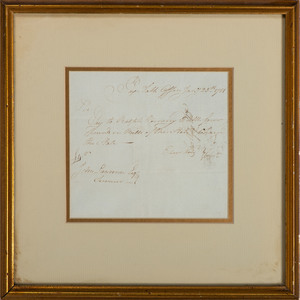 Matted and in a gilt frame.